Learn about Adobe Connect's web conferencing platform. Includes info on Adobe Connect, free trials, pricing, and FAQs. Adobe Connect is Adobe's web conferencing platform for small businesses. Features include training rooms, webinars, meeting rooms, and enterprise tools. Businesses use Adobe Connect for collaboration, virtual classrooms, and large-scale webinars. Pros: It is straightforward and easy to use. Recording tool is good. No download required. Cons: Functionality is limited. Difficult to add people. Bottomline: Adobe Connect is a great option for businesses in need of a user-friendly tool for meetings and connecting a remote workforce. What is Adobe Connect's price range? Adobe Connect's plans range from $51.00 to $383.00 per month. From there you can customize with additional functions and tools. Is there an Adobe Connect free trial? You can access an Adobe Connect free trial by scrolling down the Abobe Connect website, or by clicking "Free Trial" on the top right corner. 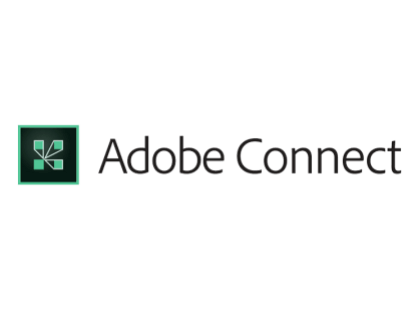 Where can I find the Adobe Connect login? Go to adobe.com and click "Signin" in the top right corner of the homepage. What are some Adobe Connect alternatives? There are no Adobe Connect reviews available at this time.